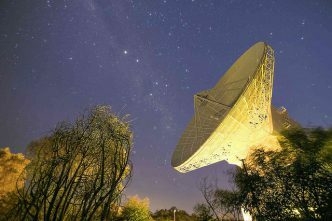 This is the second in our series ‘Australia in Space’ leading up to ASPI’s Building Australia’s Strategy for Space conference in June. Giulio Douhet was an early devotee of air power who championed command of the air as a necessary precursor for operations on land or at sea. While his prophetic ideas were vilified initially and resulted in his military court-martial, they eventually led to the recognition of air as a unique operational domain. Today a comparable transformation is occurring in the way the Australian Defence Force and its allies view the space domain. Gone is a public policy narrative that espouses space as a sanctuary. It has been replaced by a more realist view—where it’s feared that space will now be contested, degraded and operationally limited. The US, currently the world’s dominant space power, is wrestling with new strategy to address its perceived Achilles’ heel: an exquisitely engineered, aggregated and frangible space enterprise that underpins its techno-centric style of warfare. Due to Australia’s reliance upon US space-derived services, any fragility in the US space enterprise portends a dark cloud for our own security. However, an opportunity exists for Australia to develop its own strategy for the space domain, helping deter bad actors while playing to our strengths. Since Sputnik first ventured skywards in 1957, space has been a contested domain. As far back as 2001, the US Space Commission warned of a ‘Space Pearl Harbor’, and made major recommendations to enhance space security. Subsequent US commissions reinforced the need for change and unity of effort, but to little or no effect. But now a plethora of new entrants, disruptive technologies and congestion are driving the evolution of a new space security agenda. In December 2017, the US established its inaugural four-star Joint Force Space Component Commander, with operational command for all joint space forces. This novel restructure parallels similar centralised roles in the air, maritime and land domains. Douhet would be pleased. Simultaneously, the US has shifted from benevolently encouraging coalition participation to seeing allies as essential in preserving space as a global commons. Australia, for its part, has made robust efforts to revamp its doctrine, capabilities and approach to space. A growing Australian Space Operations Centre (AUSSPOC) mirrors the role played by the US Joint Space Operations Command and other allied space operations commands charged with the same mission. Additionally, a fledgling Australian space cadre has effectively doubled over the last five years and continues to grow. Nonetheless, it pales in comparison to the US, which has a space command numbering over 30,000, including thousands of dedicated space career professionals. Any conflict in space bodes ill for humankind. The characteristics of orbital dynamics entail that any defunct satellite or debris leaves a legacy for a thousand years and beyond. We have challenges, but there are also great opportunities. 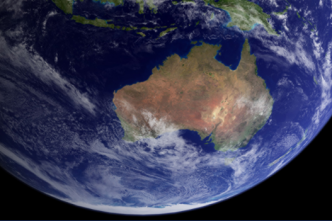 Australia’s space security and contribution to security of the commons can be enhanced without the multibillion-dollar premium that funds legacy space capabilities. 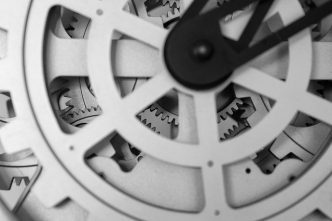 A whole-of-government strategy may not offer the cachet of large technological projects, but there are a number of avenues we can pursue that offer value for money. First, space operational doctrine requires development and dissemination. Noting that space hasn’t been through a crucible of conflict like other domains, we can only explore the vagaries of operations through war-gaming and scenario-based simulations. From a national security perspective, problems in space are metaphorically—and physically—far away. Despite the robust Schriever wargame series and other exercises, space operations need intellectual investment and joint exercises to stimulate better understanding. Second, continued integration between allies is required, moving beyond the Five Eyes community (Australia, Canada, New Zealand, the UK and the US) to encompass new entrants. Australia can utilise its regional position to build a multinational framework that also contributes to space security, as was suggested in ASPI’s recent report on Australia’s future in space, or to our space commons. Improvements rarely occur unless like-minded partners collaborate. Third, broad policy options must be developed to guide government and industry decision-makers when it comes to space security. There are glaring holes in areas such as diplomacy, military response, policy and law. Finally, a culture of space-mindedness is essential across all domains, and expertise from ethicists to engineers is required. 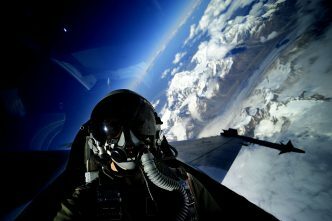 The development of an interdisciplinary space cadre would expand from space operators presently stemming from a traditional air combat heritage to include intelligence, legal, engineering, policy and planning backgrounds. Clausewitz once warned that ‘there can be no question of a purely military evaluation of a great strategic issue, nor of a purely military scheme to solve it’. 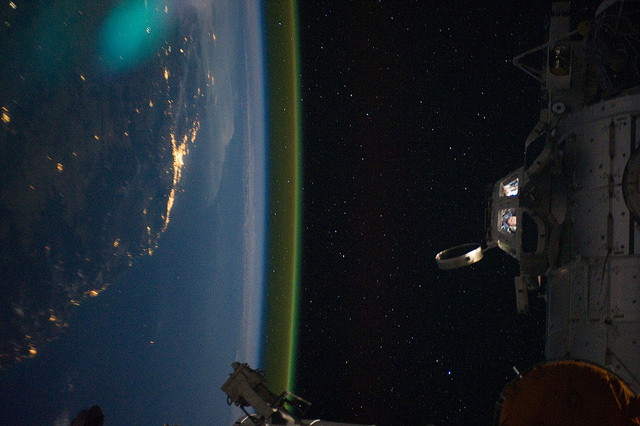 Our present space power strategy is discordant, blurred as it is by a purely military lens. A strategy integrating the broader elements of space power—government, military, industry and academic—would enhance Australia’s contribution to safeguarding this critically important domain. Wing Commander Darin Lovett is the RAAF’s Chief of Air Force fellow, lecturing on air and space power at UNSW Canberra. Image courtesy of NASA Goddard Space Flight Center via Flickr.